For the sake of fun — and safety — best not to run alone. It's the first evening of the New Year and I'm sitting on a stool at a local brewery with my buddy Mike. Our conversation takes the usual turns, from journalistic shoptalk to Netflix recommendations, with an abrupt about-face into the latest political buzz. Buried in all this is a brief exchange that, after a decade of friendship, hardly warrants vocalizing. "So, skiing this weekend?" I ask. "Hell yeah. Sunday work?" Mike replies. I nod, the plan is set, and we're back to pontificating about Mitt Romney's 2020 ambitions. Some skiers and snowboarders probably don't mind riding the chairlift alone. As the saying goes, there are no friends on a powder day. Personally, though, the season just wouldn't feel complete without a close clutch of kindred spirits to share powder stashes with. What good is stomping a jump or shredding some harrowing chute, after all, if there's no one to back your story in front of the après crowd? 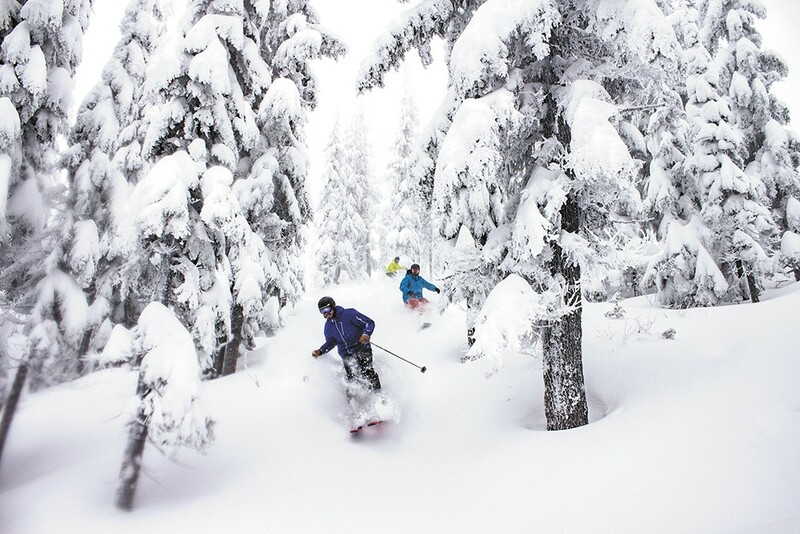 Ski buddies are more than mere witnesses to our daring-do. When we head up into the mountains in search of a day's thrill, a lot can go wrong. Maybe we get in over our heads on tough terrain and need a trusted voice to coach us down, or tweak an ankle during a crash and need a friend to flag down help. I know that every time I switch on my avalanche beacon before trekking into the backcountry, I'm comforted to know Mike's beacon is active only a few feet away. However hard we ride, skiing and snowboarding tend to inspire deep bonds. They can also deepen existing ones. About 16 years ago, my father and I joined the National Ski Patrol together. Four years later, my kid sister followed our lead. The experience of training together, working together, caring for other skiers together, all brought a new dimension to our shared skiing experience. In the waning days of 2018, I found myself tail-roping for my sister as she ran a loaded toboggan. Our communication was instinctive, our turns and speed an exercise in synchronicity. I realized during that ride just how much she'd improved as a skier over the years. The original print version of this article was headlined "The Buddy System"